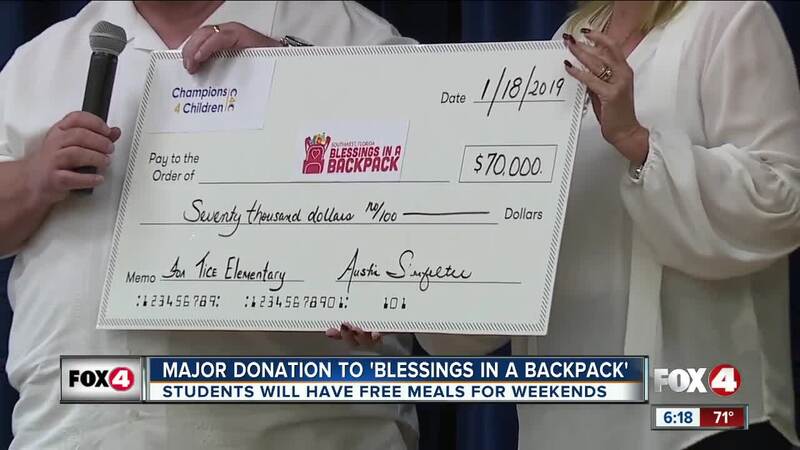 FORT MYERS, FLa. — Hundreds of students in Southwest Florida will have meals for the weekend for a full year after a generous donation. Today "champions 4 children" presented a 70 thousand dollar check to the organization, "blessings in a backpack." This means, on Fridays after school every child at tice elementary school will have a backpack filled with food for the weekend.